ETFs $HONR and $VETS advance an intriguing investment thesis: companies that stand up for military veterans outperform their peers. Much like the view that women-led VC firms tend to outperform their male-dominated competitors, the thesis for investing in a culture-centric portfolio of companies is an approach now used by a broad spectrum of leading institutional investors. Dubbed “ESG” (Environmental, Social and Governance), the acronym refers to the three central factors in measuring the sustainability and ethical impact of an investment in a company or business. According to proponents, these criteria help to better determine the future financial performance of companies (return and risk). Of the 1500+ exchange-traded funds, only a small percentage provide a vehicle by which investors can express their interest in companies based on their cultural criteria. And, within the context of a thematic ETF comprised of companies that stand-out with respect to their leanings towards military veterans, there are only two ETFs to choose from. Truth be told, the performance for both of these funds correlates to the S&P 500, the distinction is an investment in these ETFs includes a proxy to support carefully-vetted veteran-centric philanthropies, as both donate 10 percent of the management fee to military-related charities. Within the context of Wall Street firms, “un-biased and conflict-free” are two phrases that agency-only broker-dealers advance on a continuous basis. These phrases connote their conforming to a fiduciary posture that is intended to protect the interests of their client above all else. When it comes to political discourse, most broker-dealers are loathe to insert themselves in a political fracas, yet other BDs are run by folks whose moral compass overrides their need to keep quiet, regardless of the risk that a regulatory agency such as the SEC or FTC (overseen by Congress) will , at the urging of Mr. Trump, exact some type of revenge for challenging the current president. 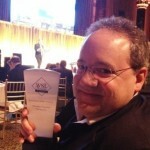 Courtesy of BrokerDealer.com Editorial Section, MarketsMuse editors join those who are taking the high road, and in that effort, we’re re-distributing a piece that profiles a unique broker-dealer’s viewpoint expressed via trading desk commentary and distributed to their Fortune treasury clients and the leading Wall Street ‘book-runners’. We’ll defer to our readers to click on links leading back to the minority broker-dealer in question. Hint-the firm is the oldest minority broker-dealer owned/operated by Service-Disabled Veterans. A Special Editorial from BrokerDealer.com: Most Fortune CEOs, as well as leaders of Investment Banks and Broker-Dealers (aka BD) are typically loathe to take a political stand. For the former, making pronouncements that will raise the ire of the current president are likely to be met by “injury by twitter,” or worse still, federal agency scrutiny of the company, which could prove devastating for public company shareholders. For the universe of corporate leaders with a conscience and also recognized thought-leaders, only a few have yet to prove unequivocal when reacting to the equivocal comment made by President Trump when framing his first view of what US Attorney General Sessions labeled as a”domestic terror event.” We’re referring to the white supremacist rally that led to 3 deaths and multiple injuries in Charlottesville, VA this past weekend. For investment banks and broker-dealers, let’s face it-politics and business mix best with each other when done over cocktails or discrete ‘off-site’ meetings to discuss new capital market initiatives, deal issuance and/or asset management mandates. After all, most traditional broker-dealers eschew taking a political stand that opposes the federal government administration, simply out of fear that the long lips of the current WH CEO will whisper to administration-appointed SEC bureaucrats with a message akin to ‘the right industry regulator might want to make this [firm] go away..” Most, but not all is the catchphrase that compels a re-distribution of a capital markets desk commentary that focuses on fixed income markets and along with a smidgen of geopolitical observations and delivered to a captive group of leading Fortune 500 corporate treasurers, as well as a select group of sell-side syndicate desk ‘book-runners’. Risk was clearly back on in the financial markets today, as U.S./NOKO tensions fell to the wayside. Unfortunately prejudice and racism reared their ugly heads in the Charlottesville, Virginia riot over the weekend. On Monday, Fortune 500 thought leaders Ken Frazier, CEO of Merck & C0., Brian Krzanich, CEO of Intel, and Kevin Plank, CEO of Under Armour each took a stand by protesting the ‘equivocal’ comments made by President Trump in his first response to the domestic terrorism acts in Charlottesville, which were advanced by self-proclaimed alt-right and white supremacist neo-Nazis. 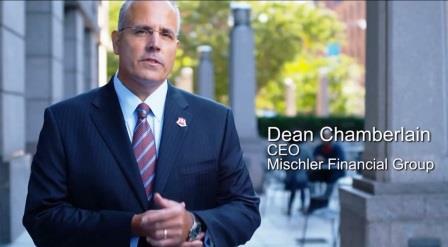 Mischler Financial Group stands with every corporate executive (and every duly-elected or duly-appointed government official) who stays true to genuinely right-minded beliefs and applauds their respective organization’s dedication to doing right by doing good. In case you missed the memo, many of America’s Fortune corporations adhere to this same notion and advance their commitment via proactive Diversity & Inclusion initiatives. For those corporate executives who may have spent all of their undergrad time in finance and accounting classes, and for those who are perhaps not as familiar as they could be i.e. American History (let’s not forget to mention world history, too! ), racism and bigotry are diseases that spew hatefulness and cannot be allowed in a free and democratic society. The incendiary and incite-full actions for which the various white supremacist and KKK groups are notorious for, are NOT protected by “First Amendment rights. * These are cancers that cannot be discounted or condoned via equivocal platitudes; simple right-mindedness demands they be eradicated. To the above point, one need only re-read the Constitution and the Bill of Rights to appreciate that D&I is part and parcel to our country’s DNA. It is also part of the cultural foundation of many Fortune 500 corporations, including Intel, including Merck, including Under Armour and including many others! D&I infers respect for and appreciation of differences in ethnicity, gender, age, national origin, disability, sexual orientation, education, and religion. But it’s more than this. We all bring with us diverse perspectives, work experiences, life styles and cultures and we presumably all share a disdain for anyone and any group that attempts to dismantle, disrupt and or destroy. Kudos to Mssrs. Frazier, Krzanich and Plank for putting themselves in harm’s way and risk of “injury by Twitter” for being true leaders and staying true to their convictions and their constituents. Kudos also to the many Fortune executives who have raised their own voices to advocate on behalf of right mindedness, and to those corporate executives such as Jamie Dimon, CEO of Citigroup, who have opted not to resign their volunteer roles serving on “Presidential Councils” in protest to seemingly wrong-headed rhetoric. 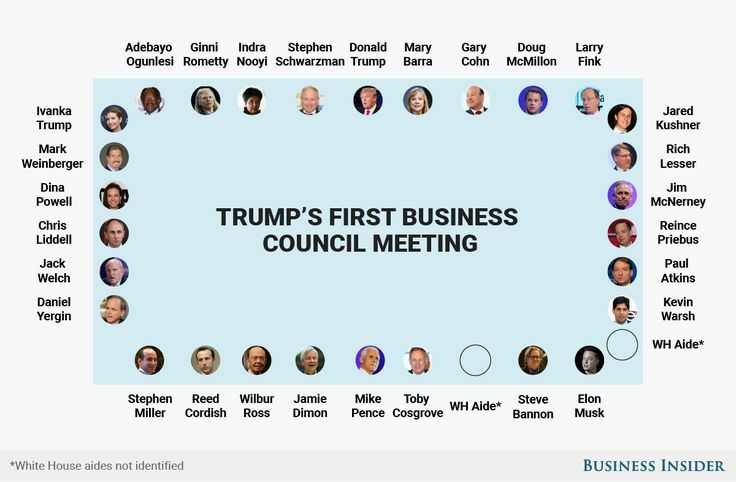 One can hope they have chosen to remain in their roles so that they can be that much more proactive in their WH-appointed roles and/or similar presidential councils in which they serve as volunteers. These are jobs these business leaders have [presumably] accepted to better the country, not to help advance any political platform or political agenda. How the US Secretary of the Treasury or the Director of the National Economic Council can square the so-called ‘equivocal’ views expressed by the CEO-In-Chief vs. their own cultural beliefs will likely be subject to ongoing self-reflection, external speculation and spirited debate. These are smart folks and optimism demands these administration officials be given the benefit of the doubt, just as it is incumbent on any/every corporate leader to serve as role models for employees, customers and clients; just as right-minded parents do for their own children. 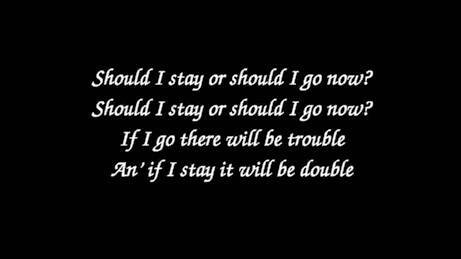 BREXIT v BREMAIN: Should I Stay or Should I Go..
Everyone is now saying how anxious the markets are to get the U.K. referendum vote out of the way. It’s been like a dark cloud hovering over the financial services industry. However, they are also increasingly pointing out that even with a vote to BREXIT, the actual impact will be much less severe than first anticipated. So, without further ado and since the potential impact has been overplayed these last several weeks, I need to chime in here with one day left to voice why the U.K. should want to part from the EU. As I’ve said from the get go, Britain left the EEC – the precursor to the EU – in 1982 in a special referendum vote in which the “leave” vote garnered 52% to the “stay” vote’s 48%. Sound familiar? The U.K. also never adopted the single currency and the Schengen Agreement has no place because the U.K is an island nation. Still the Euro and Schengen are the foundational building blocks for a successful EU. The continent is now into negative rates, there are far too many cultures, borders, nationalities, customs, histories and languages to virtually have doomed the EU from the start. That’s why the U.K. was never part of the EU’s core thesis. Unemployment will not rise in the U.K. on a BREXIT rather it will hammer out a UK/EU trade agreement to maintain continued healthy trade with the European continent. For those EU chiefs threatening “if there’s a BREXIT, the U.K. will NEVER rejoin the EU again!” here’s what I have to say on the subject : Advocates to BREMAIN claim that the U.K. maintains a balance of power in Europe that has preserved peace following World Wars I & II. First, I state that WW I & II were actually one VERY long war with a pregnant pause between them. Europe could not keep itself together. History shows that is true. So, follow the logic – if the U.K. leaves and Europe heads toward the cusp of war, don’t you think the continent would do everything in its power to avoid another catastrophe? Europe would obviously welcome Britain with open arms! Not that the U.K. would then chose to jump back onboard. 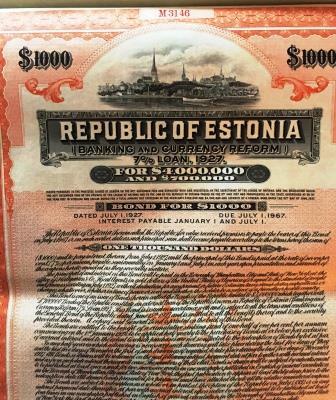 Below extract is courtesy of May 09 edition of daily debt capital market commentary and focus on investment grade corporate debt deals courtesy of boutique investment bank Mischler Financial Group, the financial industry’s oldest minority broker-dealer owned and operated by Service-Disabled Veterans. MarketsMuse editorial team adds: “Make no mistake, the phrase ‘service-disabled’ applies to members of the military injured in the line of duty and no longer certified for combat situations. The heroes who have earned “SDV certification” are highly-trained, uniquely capable and often, thanks to the skills learned while serving in the U.S. military, are more qualified than most to meet and exceed job requirements across every facet of any business setting. 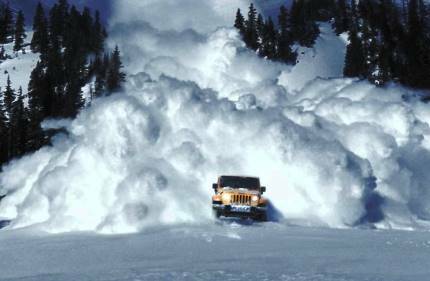 AVALANCHE!” Just look at today’s numbers: 10 IG Corporate issuers priced 25 tranches between them totaling $25.10bn. SSA featured 1 issuer and 1 tranche for $500mm bringing today’s all-in IG day total to a monolithic 11 issuers, 26 tranches and $25.6bn. The 7th highest IG dollar new issue volume day of all-time. The 2nd busiest day of 2016 for the same. 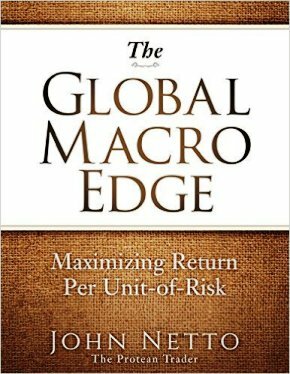 The 3rd highest number of tranches priced in history. On the heels of this past week’s near record-breaking investment grade corporate debt issuance courtesy of multiple Fortune companies who are seizing the moment insofar as the current low rate regime, Toyota Motor Credit Corp (TMCC), the financing arm of the world’s largest car maker did something different yesterday in the course of floating a 3-tranche, $2.5billion offering: TMCC designated the industry’s top five minority firms who specialize in debt capital markets to co-lead the 3 part transaction, for which Citigroup Global Markets served as stabilizing lead. Why did TMCC defer underwriting and distribution of a $2.5bil issuance to minority-certified dealers who can only aspire to “6-Pack” notoriety and presence? After all, a $2.5bil isn’t just chopped liver. 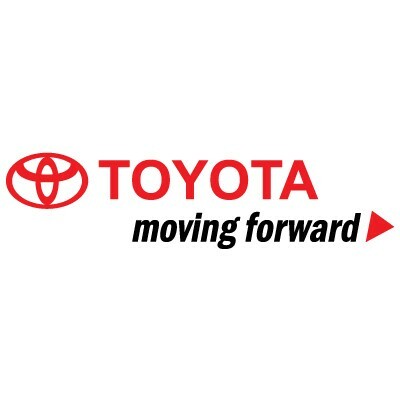 One reason is that the leaders of Toyota’s North American division have long held that a corporate culture that puts diversity and inclusion (D&I) on a pedestal is a critical component to being a best-in-class corporation. They aren’t alone. SoCal Ed, Exelon, Entergy, Southern Companies are other non-financial companies that promote this notion. In the financial industry, BNY Mellon, Citi and Goldman are most frequently mentioned for their embracing the importance of diversity across their ranks. 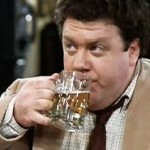 That said, TMCC has made it a point of repeatedly demonstrating they ‘get the joke’ when it comes to D&I. This is best illustrated via their global employee count, the profiles of their dealership operators and obviously, their customer base. Corporate Leadership experts have repeatedly documented via an assortment of metrics that the most successful companies within industry peer groups are those whose intellectual and financial investment towards promotion of D&I are the greatest. Many will argue that type of attitude is a big mistake, if only because, as TMCC executives have long acknowledged, the importance of placing bonds or new issue stocks with middle-market investment managers, such as public plan sponsors is a critical objective. Issuers want to place their offerings with folks having long term outlooks vs. opportunistic or activist managers. And, because bulge-bracket investment banks now primarily focus on the largest investment management firms, those 2nd and 3rd tier investment management firms often do not get covered by the big banks, and consequently, do not have the opportunity to participate in primary debt issuance. Too frequently, they are relegated to buying safer fixed income products in the secondary market–at a mark-up vs. the original issuance. The minority firms selected in TMCCs group for the third time included Mischler Financial Group, Inc., the nation’s oldest Service Disabled veteran broker-dealer and 3x winner of Wall Street Letter’s Annual Award for Best BrokerDealer/Research along with, CastleOak Securities, Lebenthal & Co., LLC, Samuel A. Ramirez & Company, Inc., The Williams Capital Group, L.P.
BNY Mellon ‘Gets It’ and Also Gives It Back. With close-on $29Trillion in deposits and $1.3Trillion in AUM, BNY Mellon (NYSE:BK), the oldest bank in the U.S. is not just the country’s biggest, it ranks as one of the world’s biggest banks. Hundreds of financial industry professionals now working across the financial markets ecosystem are alumni of BNY Mellon, long-recognized as the top training ground for those who aspire to long-term professional careers within financial services. While many “BNY” alum (including MarketsMuse senior editor) fondly recall an on-boarding process in which mentors made humorous reference to Alexander Hamilton’s orders to his top executives immediately prior to his ill-fated duel with Aaron Burr (“Don’t do anything until I return..”), most followers of BNY Mellon know that its culture is driven by perseverance and a focus to make sure no stone be left un-turned in the course of overcoming a challenge. In that spirit, a young, London-based BNY Mellon exec by the name of Charlie Thompson, a former professional Rugby star who cashed-in his sports career in favor of banking, deserves a hero’s award for re-uniting an industry colleague and highly-decorated Vietnam War hero with an invaluable piece of his personal history. 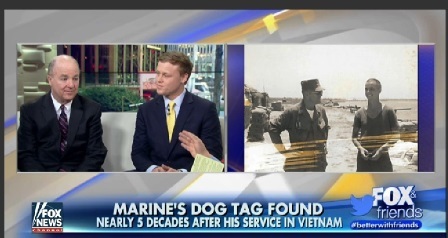 While Thompson was on holiday last year touring Vietnam, he came across a souvenir hut hawking assorted items that included a set of US military dog-tags. Intrigued, Thompson purchased the tags with the goal of hopefully tracking down the owner and/or family members and returning them. It turns out those dog-tags had been lost nearly 48 years ago by former US Marine Infantry Officer Rick Tilghman, who while serving in Southeast Asia, was awarded not one, but two Purple Hearts and The Bronze Star (with Valor). Making the story more inspiring, the new personal bond between Thompson and Tilghman is coincident to a long-standing bond market relationship between Thompson’s employer and Tilghman’s firm, the boutique investment bank Mischler Financial Group (the industry’s oldest minority broker-dealer firm owned/operated by Service-Disabled Veterans), where Tilghman, now one of the municipal bond industry’s elder statesmen, oversees the firm’s Public Finance Underwriting group. To their credit, BNY Mellon, long an advocate of Veteran-centric initiatives, has made hay with this story and since went to great lengths to help Thompson coordinate a formal return of Tilghman’s dog-tags, and along the way, produced a documentary story that has since been profiled by multiple news media outlets, including this week’s 10-minute interview of Thompson and Tilghman by Fox and Friends and broadcast via multiple FOX News affiliates. 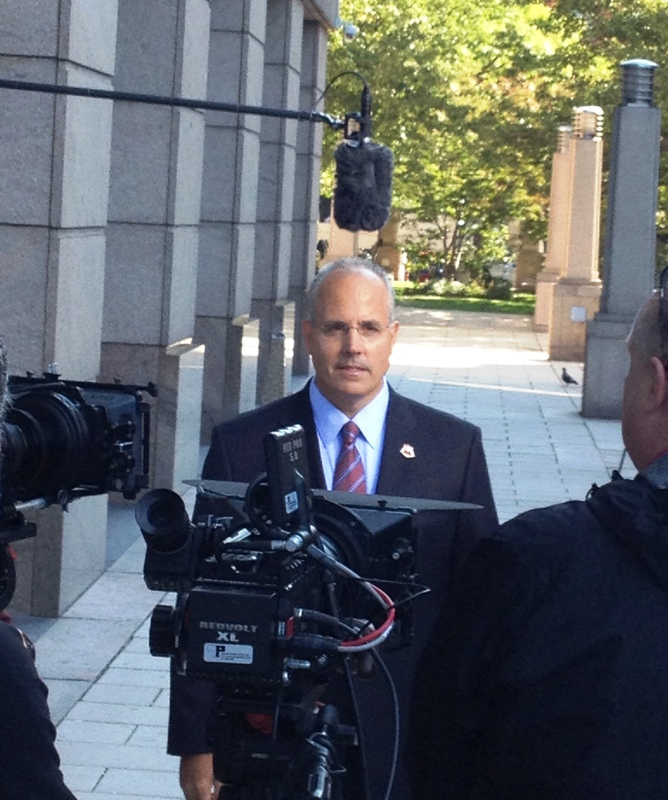 Here’s the corporate documentary profiling the story that was produced by BNY Mellon. 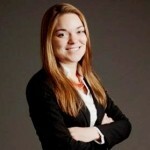 Rolling credits are not included, but a special salute goes to Colleen Krieger, Associate Director of Corporate Communications for BNY Mellon. 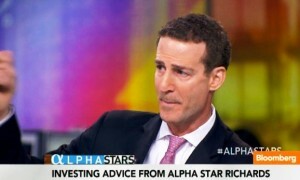 (RaiseMoney.com) For those Wall Street sharks and finance industry wonks who haven’t yet received the memo about crowdfunding, you might want to dial in to hedge fund industry icon Bruce Richards, Co-Founder and CEO of Marathon Asset Management, the $12.5 billion investment firm that specializes in global credit markets. 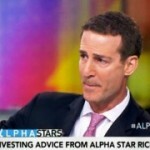 Richards, whose pedigree includes 15 years in senior trading desk roles for top Wall Street banks before migrating to the world of hedge fund management in 1998, is not only at the helm of one of the investment industry’s most successful and most philanthropic fund managers, he’s just promised to personally match the first $1million raised on crowdfund site Crowdrise for “Veterans Education Challenge”; a campaign dedicated exclusively to funding college scholarships for US military veterans. 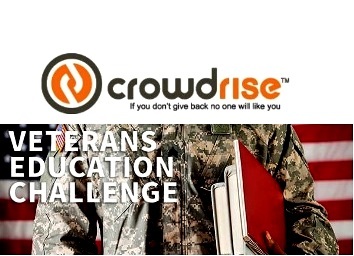 The fund raising campaign, announced this past week in conjunction with the celebration of Veterans Day 2015, seeks to raise at least $1mil within the next 12 months, according to the campaign information at crowdfund platform Crowdrise, one of the industry’s leading charitable donation portals co-founded in 2010 by film industry icon and social activist Edward Norton. 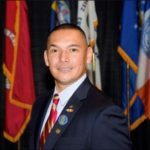 The goal for the Veterans Education Challenge is to provide scholarship funding for any veterans at 4-year accredited starting the coming school year. 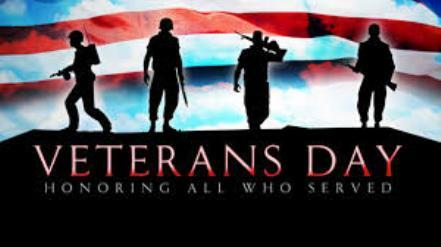 This $1 million matching contribution will remain in place until November 11, 2016, next year’s Veterans Day. In a special note sent to recipients of Richards’ email distribution list, one that typically provides Marathon clients with the firm’s widely-sought insight to global credit markets, Richards provided a starkly compelling investment thesis as to the importance of supporting advanced education for US military members and the need to insure their successful transition into private sector roles in ways the US Government often falls short in providing. In addition to pointing investment firm clients and friends to the Veterans Education Challenge Crowdrise page, Richards encouraged his followers to help advance awareness of the campaign’s FaceBook page and to enlist their following the Twitter account for VetEdChallenge via @VetEdChallenge. Richards, along with his wife Avis, an award-winning documentary film producer and director and the founder of Birds Nest Foundation, are considered to be one of New York’s top society couples. 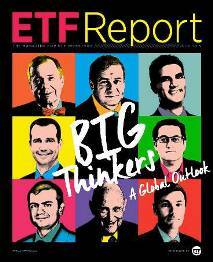 They are widely-credited by hedge fund peers for their philanthropic thought-leadership. Marathon Asset Management, whose two other leaders include co-founder Louis Hanover and Andrew Rabinowitz, Marathon’s COO is repeatedly lauded for the firm’s culture of supporting critical philanthropic missions that benefit health and welfare social causes. 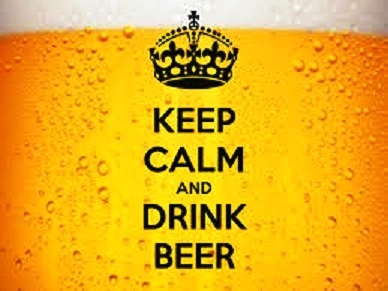 Guest Contributor and fixed income markets muse Ron Quigley, Managing Director of Fixed Income Syndicate for diversity firm Mischler Financial Group offers a Glass of Insight to the likely timing of the ABBIB acquisition of SABLN (AnheuserBusch proposed takeover of brewer SAB Miller). Below commentary is an extract from 15 October edition of Quigley’s Corner, the nom de guerre of daily debt market commentary distributed to Fortune 100 corporate treasurers, leading investment management firms, and the top fixed income deal bookrunners on Wall Street. There’s been a lot of conjecturing as to the timing of the Anheuser-Busch InBev NV (A2/A) for SAB Miller plc (A3/A-) deal. That should be expected. After all, since SAB Miller accepted ABIBB’s s $106b takeover price on Tuesday, the buyer announced it will issue a corporate record $55b in debt to finance the takeover. I have subsequently been asked by many what my thoughts on timing are so why not share them with you as well? There is a six week window before Thanksgiving after which things begin to slow down although I think this year, the first two weeks in December will be more robust than in prior years. Rates will be lower-for-much-longer and as we approach year end issuer’s will jump in to secure great financing before the busy start to 2016. Now, regulatory hurdles could certainly slow down the $55b in ABIBB issuance until next year. Recall that Carlsberg faced one year of regulatory harangues before it completed its takeover. However, assuming $1.25 trillion in total 2016 U.S. Corporate issuance, or more, the transaction represents 4.4% of that volume! Heck, we all find it hard to earn 4.4% interest on our own money!……Just to put 4.4% into the proper perspective. 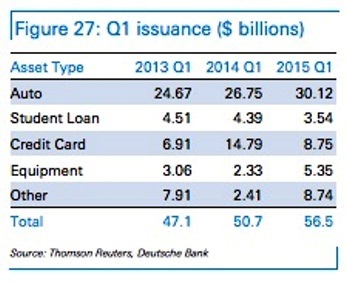 In addition, can the current marketplace absorb $55b in issuance? Today for example, many market participants were shocked at the relative absence of any IG primary calendar. Today’s session only hosted three issuers at a time when just yesterday we came off of the first back-to-back double digit billion dollar days for IG Corporate new issuance in five weeks dating back to September 8th thru the 10th! As one market professional quipped to me this morning, “hey it’s free money for them (ABIBB) so they can do this anytime!” No one can answer to the speed of regulatory hurdles but we all know when it comes to regulatory anything it means much more time. In this case the takeover has to meet muster with global regulators. For that reason alone we’ll see the deal print sometime next year. The overall markets are also still very fidgety in here, although IG Corporate new issuance seemed to be moving in the right direction judging from the past two days and today’s session was especially impressive, albeit there were only three issues. There are concerns with IPOs not getting off the ground. For that, I point directly to yesterday’s pulled IPO for Albertsons Cos. In addition, First Data Corp’s lower than desired IPO priced at $16 vs. the $18 to $20 per share it sought and Neiman Marcus’s decision to wait on its IPO. First Data’s $2.6b IPO was the largest of 2015 and nearly twice that of runner-up Tallgrass Energy’s $1.4b IPO last May. Lest we forget that yesterday Wal-Mart shocked the investment community by forecasting a drop in 2016 earnings. Shares were pummeled down 10% and Q3 corporate earnings, for the most part, have missed with downward revised forward forecasts. Dell Inc. (Ba3/BB+) also announced an up to $67b cash and stock deal to acquire EMC Corp. (A1/A). Dell is heard to be planning a total of $45bn in debt to consummate the deal. Net, net, not only ABIBB but Dell also stands to make billions from these deals so even “if” regulatory approval is unbelievably, almost unreasonably expeditious and the green light is given, both will leave big NICs on the table to get their deals done. As for the banks and the respective fees they stand to garner before year end, should timing be sooner rather than later on both transactions, well………..it’s a no brainer for them folks. The combined ABIBB for SABLN and Dell for EMC deals represent 8% of an entire year’s worth of IG Corporate issuance! Digest that for a moment….Did you hear that?.CHA-CHING! 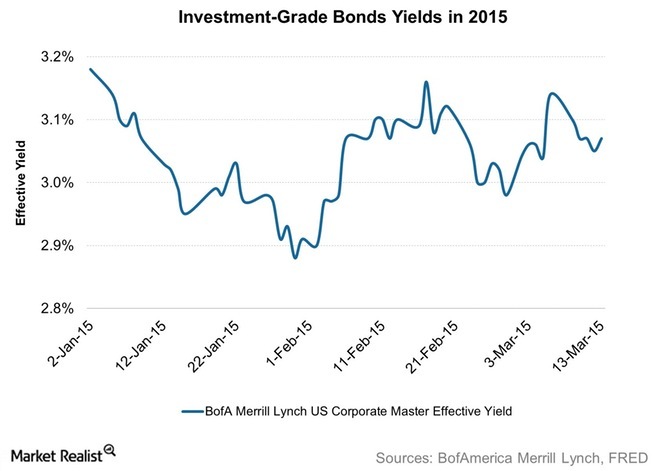 How badly would investment banks love to have those profits on their 2015 books? MarketsMuse Fixed Income Dept. is keeping tabs on industry updates and re-distributes the following news release courtesy of Mischler Financial Group, the financial industry’s leading minority brokerdealer owned and operated by service-disabled veterans. 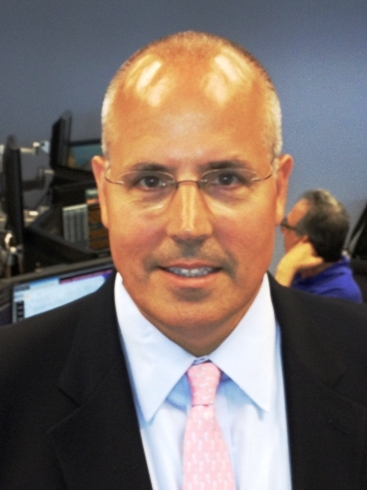 Stamford, CT—July 22, 2015—Mischler Financial Group, Inc., the financial industry’s oldest and largest minority investment bank and institutional brokerage owned and operated by Service-Disabled Veterans announced that Patrick Beranek, a 20-year industry veteran and most recently the head of Asset-Backed trading for Royal Bank of Scotland (“RBS”) has joined the firm’s capital markets division as Managing Director, Structured Products. 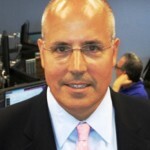 Mr. Beranek previously ran asset-backed trading and syndicate for Mizuho Financial Group Inc. and Bank of America Corp. Prior to those senior sell-side roles, Mr. Beranek was a portfolio manager for Federal National Home Mortgage Corp (FNMA). In this newly-created role at Mischler Financial, Mr. Beranek will oversee primary market activities of structured products. 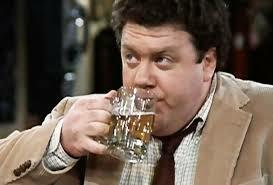 He will report to Robert Karr, Mischler’s Head of Capital Markets. 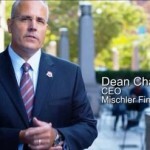 BrokerDealer Gives Back and Pays It Forward; Mischler Financial’s “Memorial Day Month” Pledge Yields $20k for Semper Fi Fund. MarketsMuse is honored to be the first financial industry news outlet to report an inspiring story that profiles thought-leadership on the part of boutique brokerdealer, Mischler Financial Group and their financial support of Semper Fi Fund. 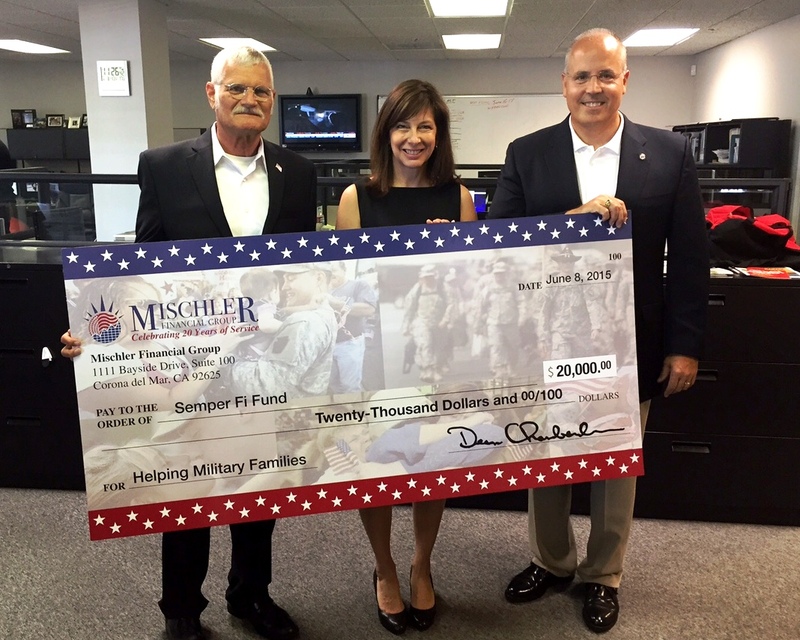 Mischler Financial Group, Inc., the institutional brokerage and investment banking boutique and the securities industry’s oldest firm owned and operated by Service-Disabled Veterans, presented a check last week to Semper Fi Fund in the amount of $20,000 as a follow-on to the firm’s previously announced “Memorial Day Month” pledge. Since its 2004 formation led by a group of Marine Corps spouses, Semper Fi Fund has provided more than 93,500 grants, totaling more than $109 million in assistance to over 14,000 of our heroes and their families. Recipients include qualifying post 9/11 Marines, Sailors, Soldiers, Airmen, Coast Guardsmen, and reservists with amputations, spinal cord injuries, Traumatic Brain Injury (TBI), severe Post Traumatic Stress Disorder (PTSD), burns, blindness, other physical injuries, or those suffering from life-threatening illnesses. Semper Fi Fund also help spouses and children of active duty service members who face a life threatening illness or injury. 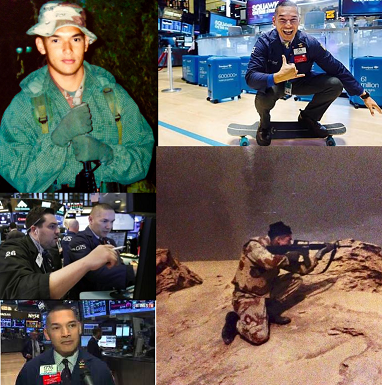 MarketsMuse update is courtesy of a truly inspiring initiative on the part of Mischler Financial Group, the broker-dealer industry’s oldest firm owned and operated by Wall Street vets who are also Service-Disabled Veterans. Newport Beach, CA & Stamford, CT, May 12, 2015–Mischler Financial Group (“MFG”), the securities industry’s oldest minority investment bank and institutional brokerage owned and operated by Service-Disabled Veterans announced that in recognition of the upcoming Memorial Day celebration, the firm has pledged a percentage of its entire May profits to The Semper Fi Fund, a nationwide organization that provides immediate financial assistance and lifetime support to post 9/11 wounded, critically ill and injured members of all branches of the U.S. Armed Forces, and their families. MarketsMuse Fixed Income update profiles Apple Inc latest bond issuance courtesy of late afternoon desk notes distributed to institutional clients of deal co-manager Mischler Financial Group, the financial industry’s oldest and arguably largest boutique Finra member firm that is owned and operated by Service-Disabled Veterans. MarketsMuse Editors are compelled to add at the outset: The term “Service-Disabled” is a terrible misnomer that the US Dept of Defense should consider changing. The vast majority of these veterans are ‘disabled’ only within the construct of the certification that is awarded to members of the military who were injured in the line of duty and since relieved from serving in active duty roles. Without discounting the sacrifices that so many veterans have made while serving in our military, sacrifices that have permanently altered their lives and those of their families consequent to truly debilitating injuries sustained, thousands of veterans who were injured in one way or another and who have since returned to the workforce have proven time and again that they are not only fully-able, but they are 110% “mission capable” and “mission ready” whenever provided the opportunity to demonstrate their trained skills and talents within private sector roles. Two mega deals hit the tapes early this morning led by an $8b 7-part from Apple Inc. and a $10b 6-part from Shell International Finance. There were a total of 8 IG Corporate issuers that tapped the dollar DCM to price 20 tranches totaling $21.525b bringing the WTD total to more than 14% more than the syndicate midpoint forecast or $45.125b vs. $39.34b. Meanwhile, the Kingdom of Sweden also added $2.25b from the SSA space with a new 3-year bringing the all-in IG day totals to 9 issuers, 21 tranches and $23.775b. New Record: Quickest In History to the Half Trillion Dollar Mark! Today marks a landmark in the history of IG issuance – It is the earliest time in any year that we reached the $500 billion issuance mark. YTD IG Corporate-only volume now stands at $510.797 billion! Investor appetite for the stability of higher rated credits and especially those from Corporate America is beyond robust. 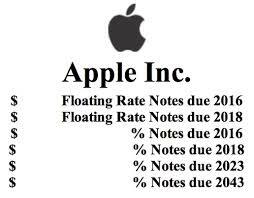 Congratulations to Apple for their help in putting us on top with this new and very impressive record! Well-timed and well-priced no doubt! YTD all-in IG issuance (Corporates plus SSA) is now $634.407 billion. Not too shabby folks! A redacted version of Quigley’s Corner, including a synopsis of the day’s investment grade corporate bond market activity is available via Mischler Financial Group’s website. 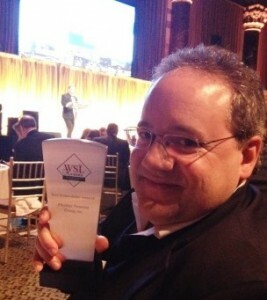 MarketsMuse is known for being both a curator of financial market news as well as a part-time pontificating platform, and yet our altruistic editorial team actually likes to lean towards and forward to our followers select stories that profile the truly compelling “social-sensitive” initiatives spearheaded by Wall Street banks. 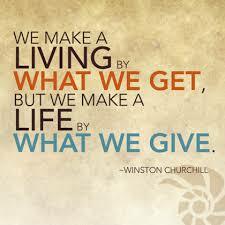 While it may come as a surprise to the universe of cynics, ‘feel good’ stories-i.e. those in which Wall Streeters are actually doing things to add to society and not just their wallets, do take place every day. Sadly, those snapshots are typically under-noticed or not advanced by the traditional business media outlets, who typically reserve “Wall Street Doing Good and Giving Back”- type stories for Memorial Day and Veteran’s Day and limit those ‘profile pieces’ to a very short list of big-walleted sell-side advertisers. (Shout out to anyone at CNBC who is reading this post, we hope you’re actually paying attention to this post!).. MarketsMuse Editorial Team is proud to be the first media outlet to profile Sept 27 Boston #SoldierRide, a cycling-for-dollars event that raised more than $100k for Wounded Warriors. We extend a special commendation to Fidelity Investment PM Fergus Shiel (pictured on left) and Mischler Financial Group’s Head of Equities Joe Digiammo (pictured on right) for being among the 300 athletes who turned out for this fund raising event on behalf of service-disabled veterans who have served with honor and distinction.